The slim and low-profile Amsterdam Media Cabinet makes media containment a stylish affair in any urban living room. 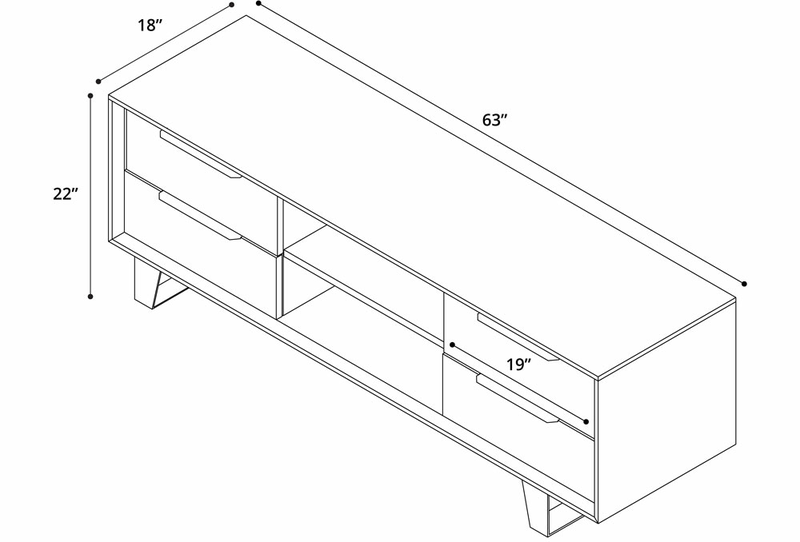 Two wide, central shelves with cord pass-throughs accommodate multiple game consoles, DVD/Blu-Ray players, and other media devices, while four full-extension, soft-closing, and smooth-gliding drawers provide additional storage. A durable concrete top provides a secure surface for any flat screen TV. Unit finished in a divine Italian gray oak veneer.